One police van - MH-02-A- 4084, four cops, one night, one job, one hell of a ride, is what Hriday Shetty's new directorial film titled 'Chaalis Chauraasi', in one line. Produced by MAASK Entertainment Pvt. Ltd. in association with Filament Glo (India) Pvt. Ltd, Chaalis Chauraasi stars extremely talented and experienced actors like Naseeruddin Shah, KK Menon, Atul Kulkarni and Ravi Kishan. The film is written by Yash-Vinay and the music in the film is by Lalit Pandit. Exploring a humour crime genre, Chaalis Chauraasi is like a rollercoaster ride in an amusement park, except that it takes place in a police van. 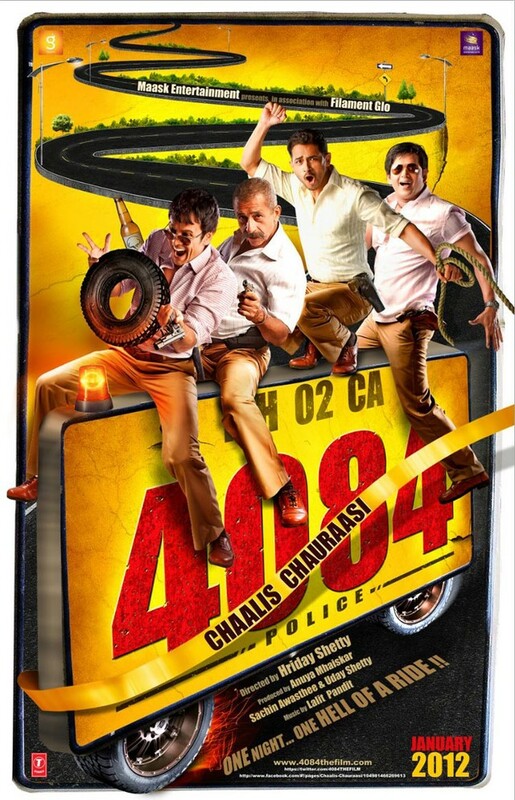 The story of the film revolves around 4 cops Pankaj Suri aka SIR (Naseeruddin Shah), Albert Pinto aka PINTO (KK Menon), Balvinder Singh aka BOBBY (Atul Kulkarni) and Shakti Chinappa aka SHAKTI (Ravi Kishan); who see an opportunity to a great future when they are given a mission to pull off. Things take a twist when another cop stops their van en-route and takes them as his backup to catch a dangerous gangster. The story unfolds through the night where the fine line between law and crime is repeatedly crossed, leading to unexpected situations, sometimes very hilarious. The 4 guys who think of themselves as very rough and tough, macho men encounter situations where they are forced to reckon with a different truth about themselves.